The next upgrade of Apple's mobile operating system, iOS 12.2, will come with an annoying surprise for virtual and augmented reality developers. Apple's move is designed to protect the privacy of its customers by giving them control over who has access to their location data. 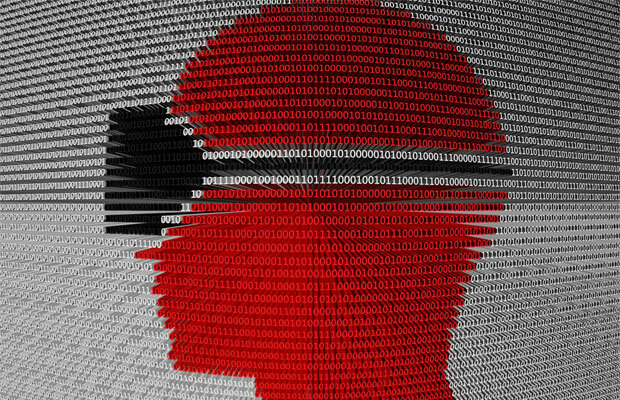 "If you're a developer of AR or VR mobile experiences, this is going to be something that impacts you," said Michael Goodman, director for digital media in the Newton, Massachusetts offices of Strategy Analytics, a research, advisory and analytics firm. "Any time you put in an additional step -- force a consumer to do something as opposed to it happening automatically -- that's a roadblock that's going to affect developers of AR and VR experiences," he told TechNewsWorld. "It means they're going to have a smaller audience, because their app doesn't work out of the box anymore." Apple's decision to rein in access to location data on its phones may have been influenced by results of a study researchers at North Carolina State University, Princeton, the University of Illinois at Urbana-Champaign and Northeastern University released in September. While access to some sensors on a phone will trigger a warning, that wasn't the case with motion, proximity and lighting sensors, the researchers found. Ordinarily, a legitimate website's access to data from those sensors wouldn't lead to trouble for a user, but a malicious website could use the data for mischief. Ambient light data, for example, could be used to make inferences about a user's browsing behavior. Motion sensor data could be fashioned into a keylogger to deduce things like personal identification numbers. The unique calibration features of motion sensors have been used to track people across the Web. "Apple is staking out its territory on privacy," Strategy Analytics' Goodman said. "Supporting consumer privacy is a good message for them," he continued. "It doesn't hurt them with the consumer, and it doesn't hurt their business, because it doesn't make any money off advertising." "They're going out to the market and saying they're different because -- unlike these other tech giants -- we're not collecting your data and we're going to keep it private as best we can," she told TechNewsWorld. "Apple is putting a stake in the ground and saying, 'We want to protect your privacy,'" Petrock added. "As soon as that data is being used for any other purpose, it's unethical, and I'm glad to see that Tim Cook is making a statement about how it's being used," he told TechNewsWorld. "In today's world, where every day there's another privacy breach and so many gaps and so many holes, it's nice to see that somebody is trying to close some of those holes," Crandall said. "It's nice to see a little momentum in that direction from a major technology company." "If this comes to pass and Safari's access to the accelerometer and gyroscope are deactivated by default, then this will likely cause some early problems where ads or features may not run appropriately, but there are plenty of workarounds to make this mostly a non-issue," he told TechNewsWorld. "If a user is purposefully using an AR Web-based application, then the individual would likely have enabled this feature from the start, or the application could notify and prompt the user to enable it -- much like we have today with permissions on phones," Inouye observed. "Further, if we're looking at 360-video, users can also swipe the screen to move the camera/view," he pointed out, "so use of an IMU (inertial measurement unit) is not necessary for all experiences." Apple's move most likely is a way to create transparency and give users additional control of their privacy, Inouye maintained. "Advertisers are already battling things like ad-blockers, so while this could be another thorn in their sides, it probably won't result in too much pain," he said. "Advertisers could always scan a device's settings and serve different ads, depending on access to the IMU," Inouye noted. "Sure, one could say this does not bode well for a technology that is still trying to gain better traction among consumers -- but if consumers truly want to use AR/VR I don't imagine this causing too many problems." Moreover, users aren't going to be running into many AR and VR ads yet, so advertisers have time to figure out a course of action. "Advertisers are going to have to think about how to get around it," eMarketer's Petrock said. However, the location lockdown "is very consistent with what Apple is trying to do in terms of a push for privacy," she added. "Apple wants to prevent unauthorized collection of different kinds of data that people don't know is being collected or don't want being collected," Petrock continued, "and if they have to compromise a cool user experience in the form of a VR or AR ad, I think they're OK with that."